Cataract operations are performed on an out-patient basis meaning the patient can return home the same day. The total procedure time for cataract extraction is between 30 mins – 1.5 hours. After cataract surgery patients must cover the eye for a few hours and the surgeon may suggest wearing an eye patch at night to make sure you don’t rub your eye while alseep. Patients can leave the hospital as soon as fully recovered from the anaesthetic but will need someone to accompany them as although the cloudy eye symptom of cataracts will have disappeared after surgery, the eye drops used to dilate the pupils will leave patients with blurred vision. Remember, it will be hard to judge distances accurately if one eye is covered so patients must take extra care in the first few hours after surgery. Eyes may also be more sensitive to sunlight immediately after surgery so patients are advised to wear sunglasses to prevent any discomfort. Eye drops will be prescribed to help the eye heal and lower the risk of infection. It is very important that these eye drops are administered as advised by the opthalmologist. In the first few days after cataract surgery the eye must be kept dry and patients may be advised not to wash face or hair to avoid letting water into the eye. Patients will be able to watch TV and read but vision may be a little blurred at first as the eye adjusts to the new intraocular lens. These symptoms are normal after cataract extraction and should go in a few days. 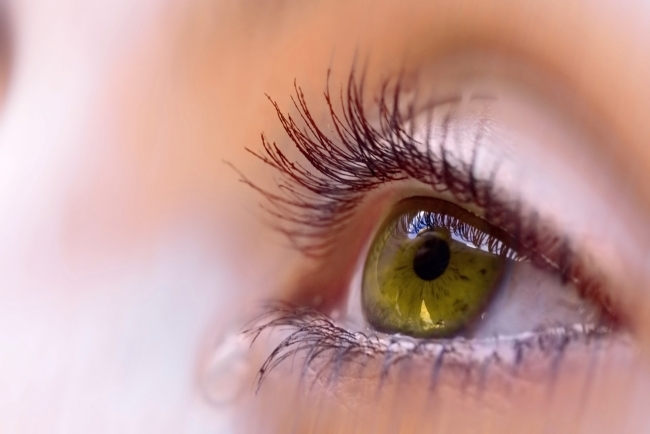 If patients have anything more than mild pain, if vision loss occurs or if the eye reddens, contact the surgeon immediately as these are all symptoms of more potentially serious risks and complications of cataract surgery. The complete recovery time after cataract eye surgery is usually one-two weeks.